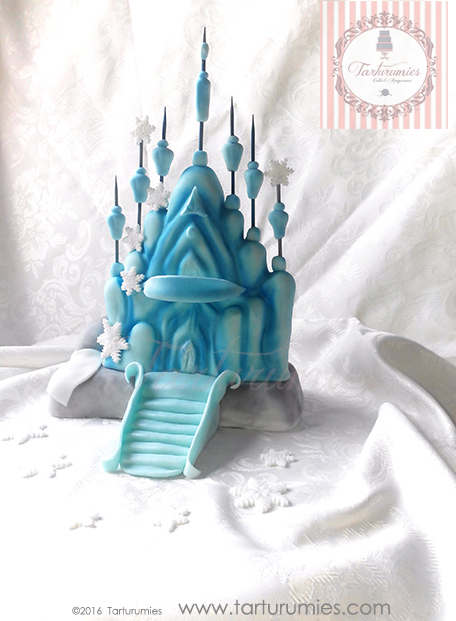 We have seen the film of Frozen many times, when ask us for something in particular (as in this case Elsa Castle) we like to see in detail every moment to be able to capture its essence. 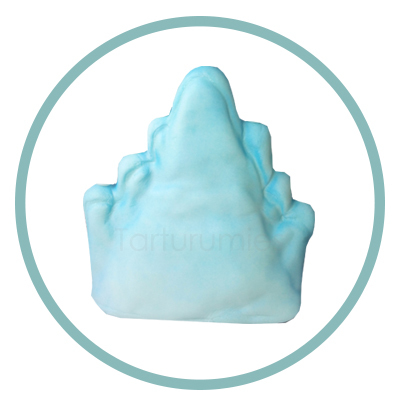 After much thought of how to do this new challenge, we thought that a good idea would be to use RKT. 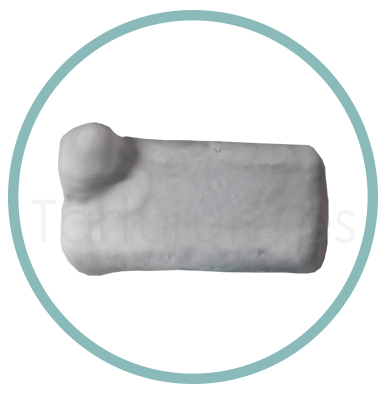 So we set to work, the RKT (Rice Krispies Treats) is a mixture of rice krispies with marshmallows and a little butter, this mixture is used for modeling shapes and structures. Once dry it gets hard and gets the structure to be firm enough. 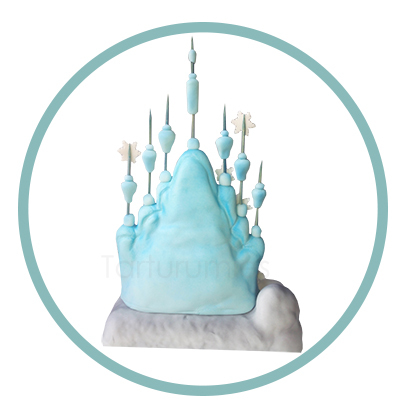 To make the castle and the mountain we use the RKT giving it the desired shape and avoid using so much Fondant to lighten the weight of the decoration. 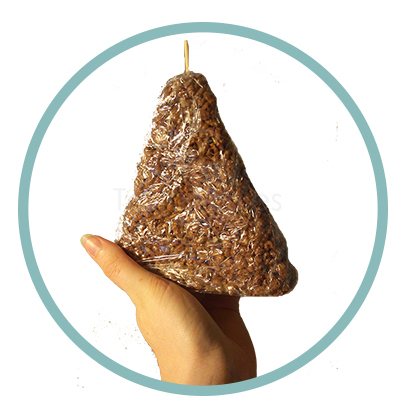 Step 1: Make the shape of a triangle with the RKT mixture. Quickly (without it getting cold), put a brochette in the center of the triangle as seen in the photo to make a hole that will be needed later. Cover with clingfilm and let stand. Step 2: Once you have the base of RKT, cover first with icing sugar to fill the holes and so the base will be more uniform. 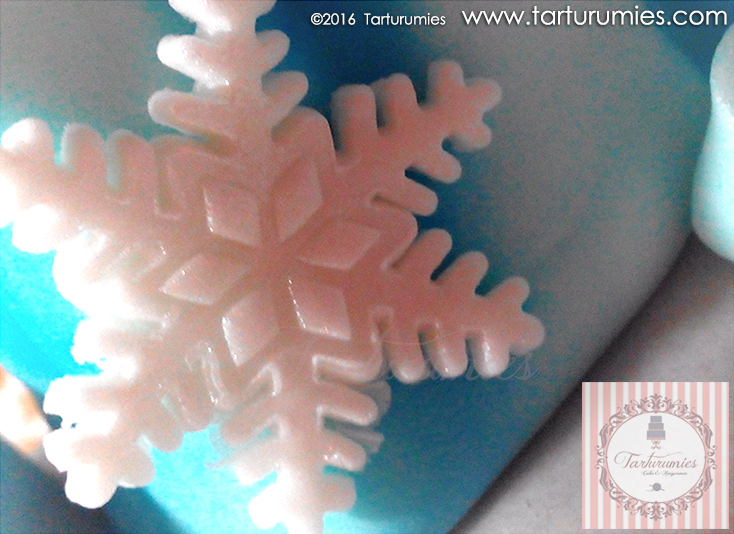 Already that part, begin to work with the fondant little by little. Make cylindrical shapes to mimic the towers and other flat shapes for the window and door (guided with the image). Step 3: For the base of the castle make a rectangle with RKT with the same technique that made the triangle (perform this step already having guide part of the castle made to be able to obtain a size suitable for its base). Cover the rectangle with a little icing sugar but do not leave it too smooth since it imitates rock and ideally it is something uniform. 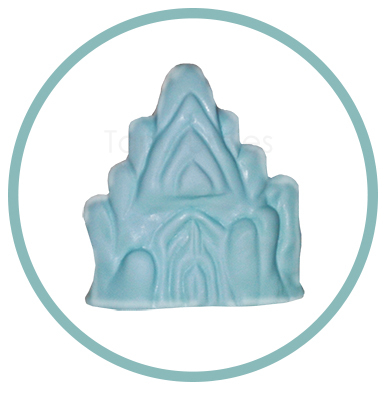 Then, place a little fondant in a corner of the base to simulate a stone, and to finish it cover with fondant the whole base and accommodate. Step 4: Return to the castle. 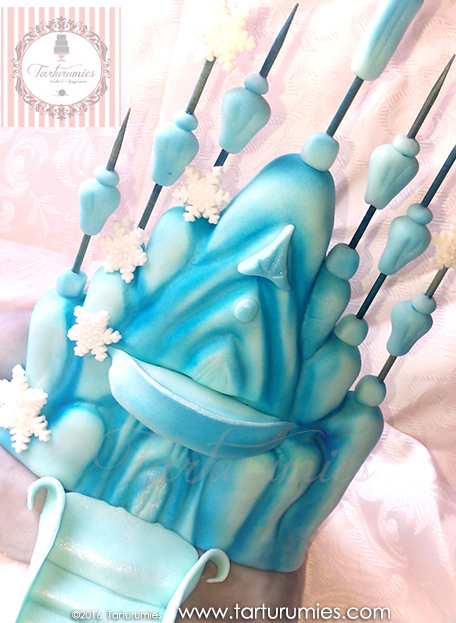 Cover with fondant and a lot of patience. It can be done from the top, or as we have done, we have reclined and covered in two steps. First cover the back that is smooth, then cover the front that has its curves and you have to accommodate more the fondant. There will be a line on the sides that will have to be disguised a little later with the help of a bit of Crisco (shortening) but do not worry about dissimulating much as it is a version of the rustic castle. 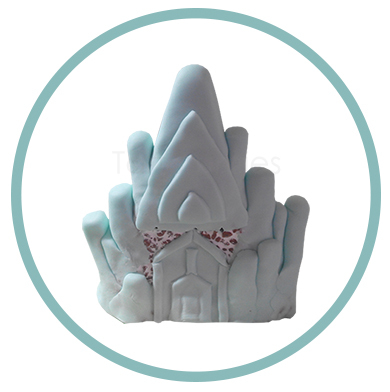 To accommodate over the curves of the towers and other details also help with yours fingers. Step 5: Give a shade effect with color in the furrows of the details. 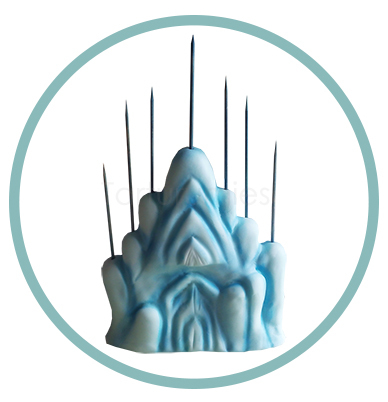 We have used airbrush but can perform a similar effect with powder dye of a blue tone stronger than the base of the castle, thus will make contrast. Then paint 7 skewer sticks with blue dye (diluted with a little drinking alcohol, example vodka). Already painted and dry we place them in the towers as the image indicates. Step 6: Finally the details. 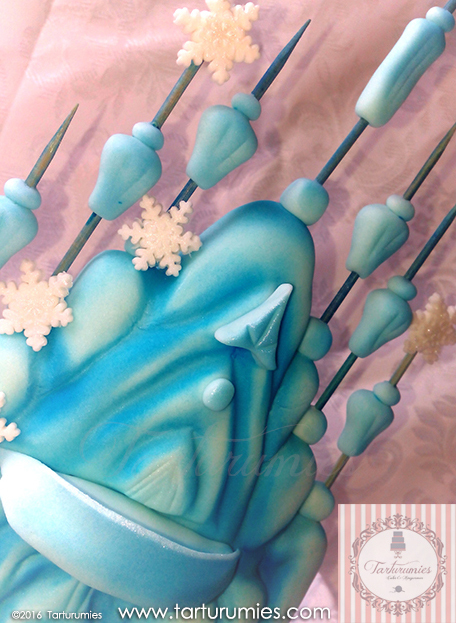 Make the fondant pieces that are located on the chopsticks to give them better finish and paste them according to the image. 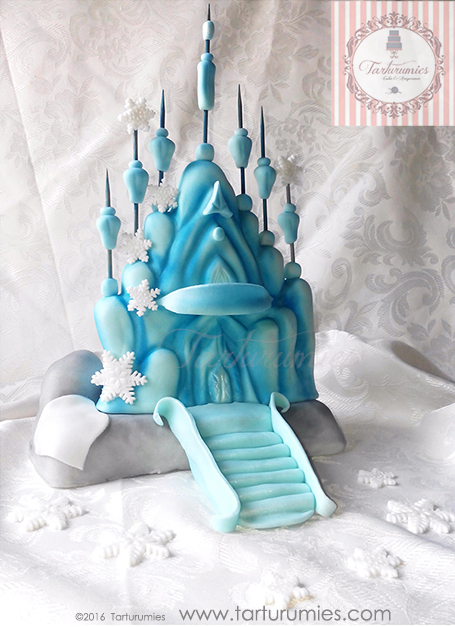 Also make a semicircular balcony with a thick base of fondant and a strip to mimic the railing (the shape will be tested with the size of the castle window to fit). To place and paste it help with toothpicks one at each end and one in the middle, traversing the thick base of the balcony and being careful not to move out of the railing. Also make snowflakes and paste them according to the image or as you like. 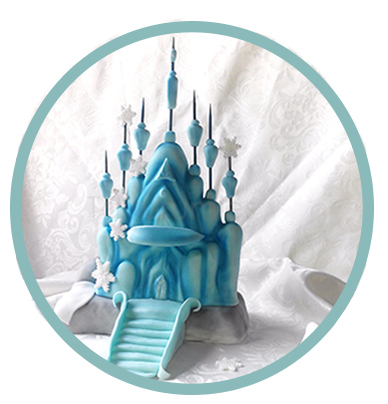 And finally, make a staircase in fondant guiding with the castle and base to get the ideal size.